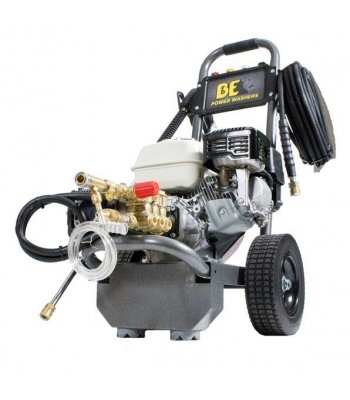 The B2565HAG is an extremely powerful gear driven pressure washer from BE Pressure, powered by 196cc, 6.5hp professionally engineered Honda GX200 engine, coupled with a gear driven Italian AR pump. 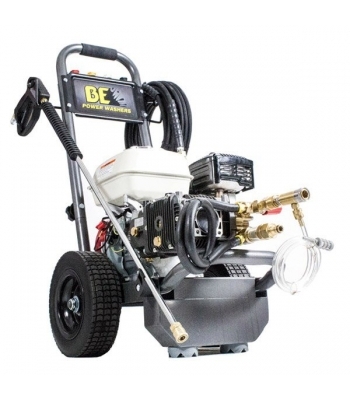 The B2565HAG produces an adjustable output of 30 to 172bar, (up to 2500PSI) with a maximum of 11.4L/min flow rate. Powered by a commercial grade, world renowned Honda GX200 6.5hp petrol engine. 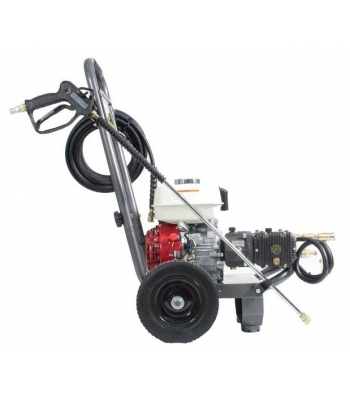 Producing a maximum output of 2500PSI, with a flow rate of 684 L/Hour. Leading Italian Annovi Reverberi AR MX 11.17 slow running, gear driven pump. Pump runs at half the speed of the engine (1500-1800RPM) to extend the lifespan and reduce strain on the moving parts, increasing reliability. Easily portable due to the large pneumatic tyres. Powder coated, rugged steel frame. Covered with Honda’s 3 Year commercial GX Engine warranty, and 5 year pump warranty*. Weighing 42kg the B2565HAG is easy to maneuver due to the large pneumatic tyres, and the ergonomic grip on the rugged steel frame makes handling easy. Powered by a Honda GX200 4-Stroke 6.5hp petrol engine, renowned as the best small petrol engine in the world due to its reliability and durability. A high quality lance with adjustable high and low pressure gives you everything you need to start cleaning straight out of the box. The frame mounted hose tidy and lance holder ensures the hose is tangle free and stored tidily while not being used. Suitable for the professional cleaner, commercial car valeters and workshops the B2565HAG is ideal for the most heavy duty applications. 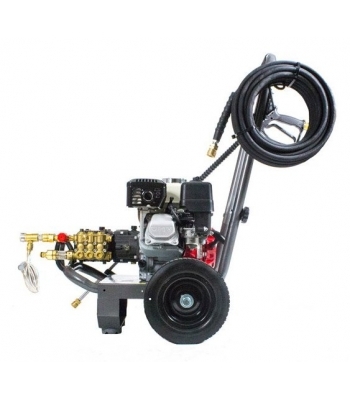 The commercial grade Annovi Reverberi pump runs at 1500 to 1800RPM to ensure it has a long lifespan and features a built-in unloader valve for adjustable pressure. With low service and maintenance requirements, the B2565HAG is incredibly user-friendly, and has full BE Pressure UK parts back up. Suitable for gravity feed / mains supply. 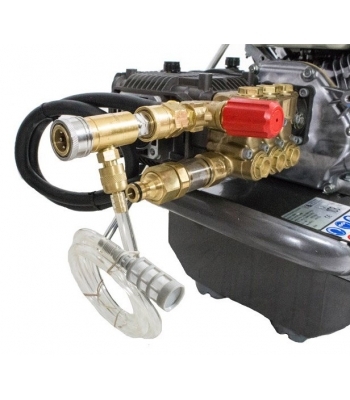 Water feed: Garden hose with Q/R connector. Must have sufficient volume to match the pump flow rate. Not supplied with suction kit. Covered by Honda’s 3 year commercial GX engine warranty and 5 year limited pump warranty.